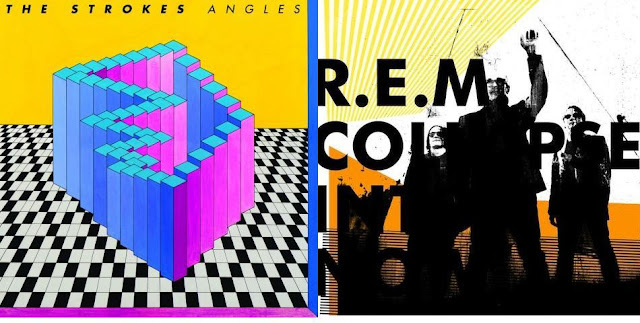 R.E.M and The Strokes have new albums out, R.E.M with Collapse Into Now and The Strokes with Angles, and I don't have either yet but I'll probably get both. I've always loved R.E.M. and the bratty brat Strokes will always have a place in my heart. This isn't a poll about which album you think is better, but which album cover you think is cooler. You can click on the image to get a closer look. the new strokes is good. not great. but gooder than other goodout, i think. the new rem is good too. good things. good.